Absolutely! Having the right tools for the job not only makes installation much easier but also helps to naturally improve the overall workmanship. With that said, choosing and using the proper trowel for your next project is no different, and is just as important as the selection of thinset and grout. Insufficient thinset coverage can weaken and compromise the entire tile system, which you guessed it, is very bad. No one wants to rip out tiles because of voids or gaps in mortar coverage. On the flip side, too much thinset, and you will be constantly raking out excess mortar from the joints, which not only makes the job messy but yields less coverage per bag. This can also lead to lippage issues, and as you know from my previous post, is not something that can be easily fixed. Knowing the right type and size of trowel for your next tile project will set you up for success. Use the following tips to help guide your next project. 3/16″ to 1/4″: Mosaic tiles and glazed wall tiles up to 4″ in size. 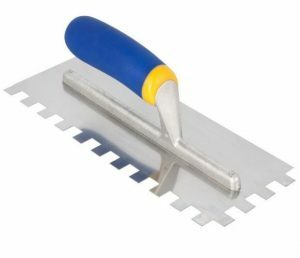 The proper trowel allows for maximum mortar coverage to the back of the tile, while accommodating the inherent variances in subfloor flatness. 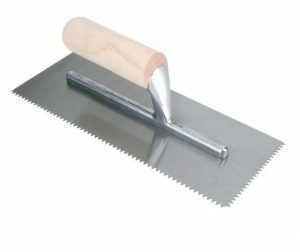 Using the proper notch trowel for the product being installed is extremely important and should not be overlooked. With the variety of tile products on the market today, available in a wide range of sizes, the “one-trowel” approach should not be embraced. 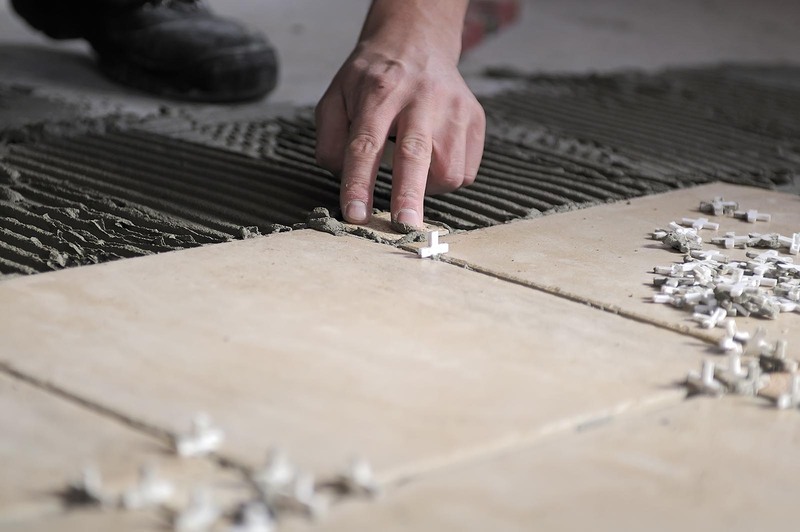 Each tile is different, so a corresponding trowel should be used for each one. Thanks, and remember, our QA&T Team is always here to help answer any technical questions you may have on your upcoming project!